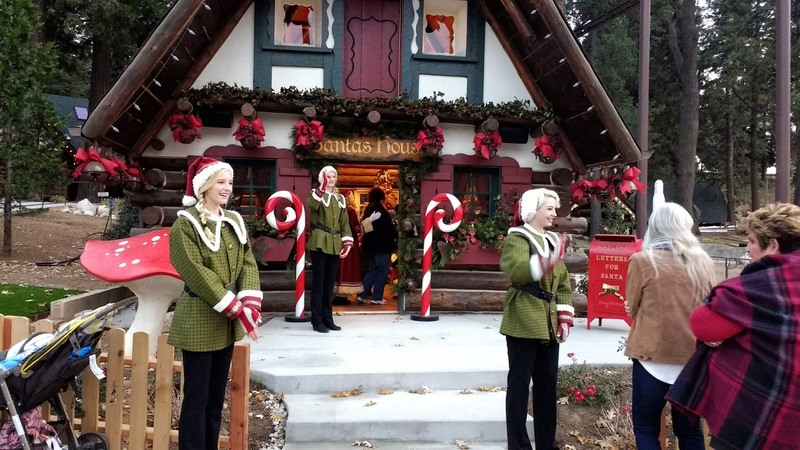 Situated high in the mountains above San Bernardino County in the tiny town of Skyforest California, there is a historic piece of Americana called Santa’s Village. Every year at Christmas time, parents and grandparents all over Southern California would make the annual trek up the mountain to take the kiddies to see Santa Claus. 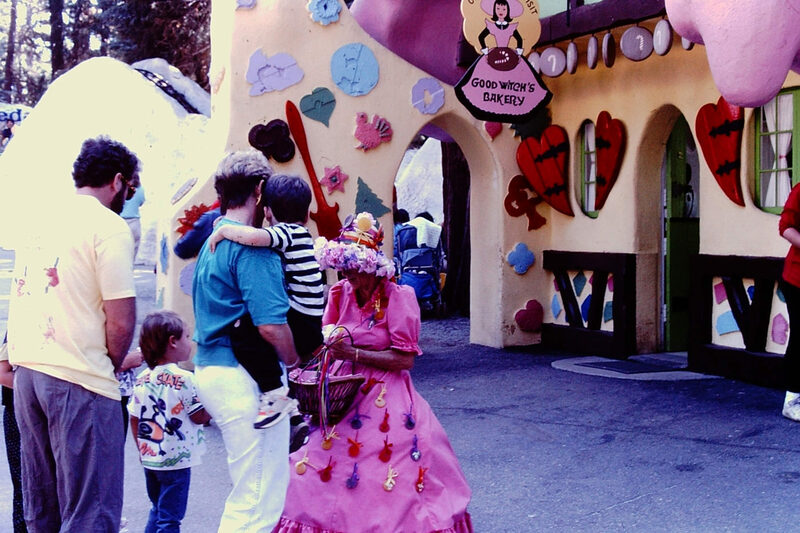 Originally opened in 1955, Santa’s Village was a beloved family Southern California attraction which operated for 30 years until finally closing their doors in 1998. In the years that followed, the park changed hands and fell into serious disrepair. In 2003, a wildfire nearly destroyed the remaining buildings on the property. Enter a new owner with a bold new vision for the park. After 30 month of painstaking renovations, Santa’s Village is finally scheduled to re-open this November just in time for Christmas. For those of you who remember the park in it's heyday, Santa’s Village will look about the same as it did when it first opened all those years ago. Eighteen of the historic log cabins on the property have been fully restored to their former grandeur. The new owners really outdid themselves on the cabins. The small details are really first-class and rival anything you would see at Disney. With its snow-capped cabins, giant candy canes, glittering trees, elves, jugglers and even a real live white wolf, Santa’s Village really does feel like a winter wonderland. 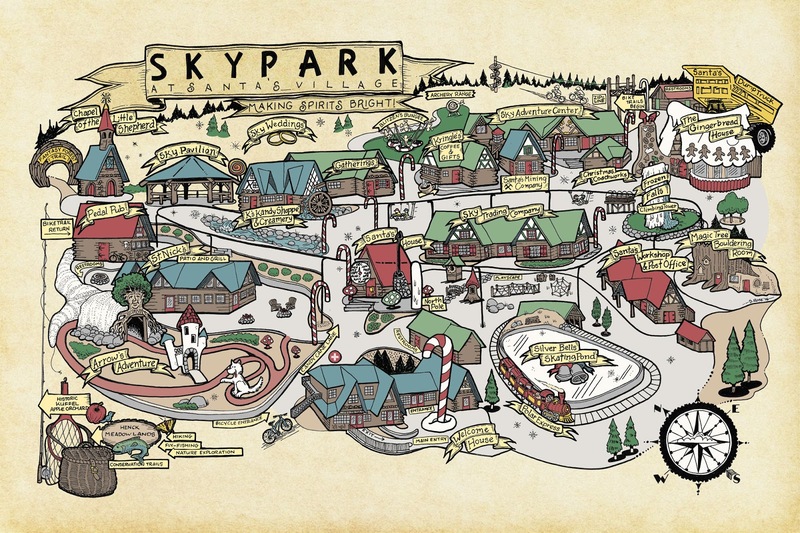 The new Santa’s Village, dubbed “SkyPark at Santa’s Village", has expanded to include several mountain themed activities including a rock climbing wall, an outdoor skating rink, mountain biking trails, a skypedal monorail (whatever that it? ), ziplining, hiking trails, electric assisted pedal cars and more. The outdoor skating rink is the first of its kind in the San Bernardino mountains since the Ice Castle in Blue Jay closed after a roof collapsed in 2001. The ice skating rink and rock climbing wall are nearly completed and should be ready in time for Christmas. The tentative plan for outdoor section of the park is to keep it open all year, but some of the attractions may not be ready until the spring of 2017. Outdoor enthusiasts in Southern County will be excited to hear that the new owners of the park plan to add a camping area. 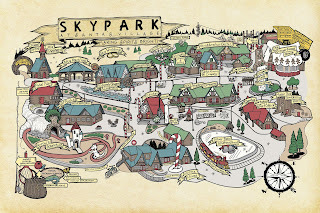 For anyone who is unfamiliar with the tiny town of Skyforest where the park is located, Santa’s Village sits on a prime piece of land which is 6,000 feet above sea level and with spectacular views overlooking San Bernardino County below. The giant Lodgepole pine trees in the area are worth a visit themselves. When the new campground is opened in 2017, I’ll probably be the first one in line for a spot. 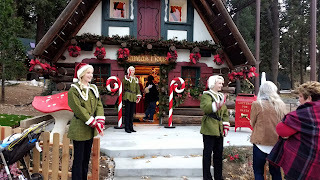 If you want to turn a trip to Santa’s Village in a multi-day excursion, there are several awesome attractions and hikes nearby including Big Bear Lake, Lake Arrowhead, Snow Summit and Bear Mountain ski resorts, HeartRock Falls and Bonita Falls. For a real adventure, you could even pick up the Pacific Crest Trail at the northern end of Lake Arrowhead and hike 10 miles in to Deep Creek Hot Springs which is easily one of the best natural hot springs in Southern California.